Plant Schisandra is sourced in East Asia, its dried fruit can be used medicinally. The berries of S.chinensisare given the name Wu Wei Zi in Chinese, which translate as “five flavor fruit” because they possess all five basic flavors in Chinese herbal medicine: salty,sweet,sour,spicy and bitter. In traditional Chinese medicine it is used as a remedy for many ailments: to resist infection, promote skin health, and combat insomnia,cough, and thirst. It’s most well-known for boosting liver function and helping with adrenal functions, but other benefits also include: acting like a powerful brain tonic (improving focus, concentration, memory and mental energy), improving digestion, supporting hormonal balance, plus nourishing the skin. Studies have found that in healthy subjects, schisandra generates alterations in the basal levels of nitric oxide and cortisol present in blood and saliva. In animal studies, it’s also been shown to help modify the response to stress by suppressing the increase of phosphorylated stress-activated protein kinase, which raises inflammation. 4. Enhancing intelligence and promoting physical endurance. Why should you choose Schisandra Extract from World-way Biotech? 1. 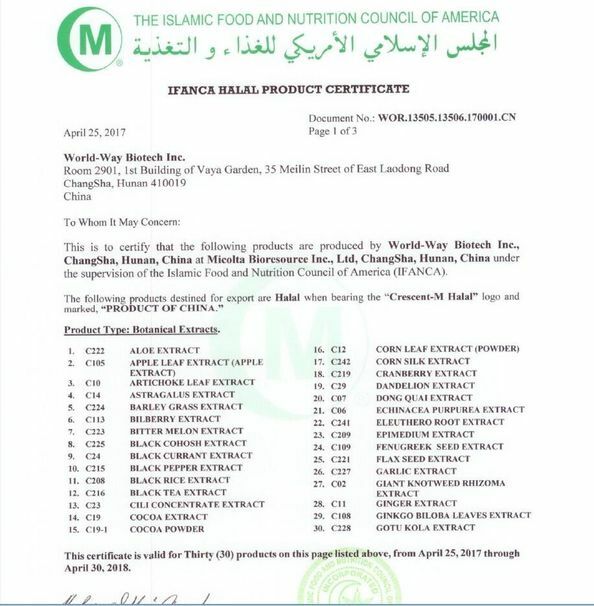 Schisandra extract from Wolrd-Way is 100% extracted from natural aged root, very safe and more bioactive. 2. 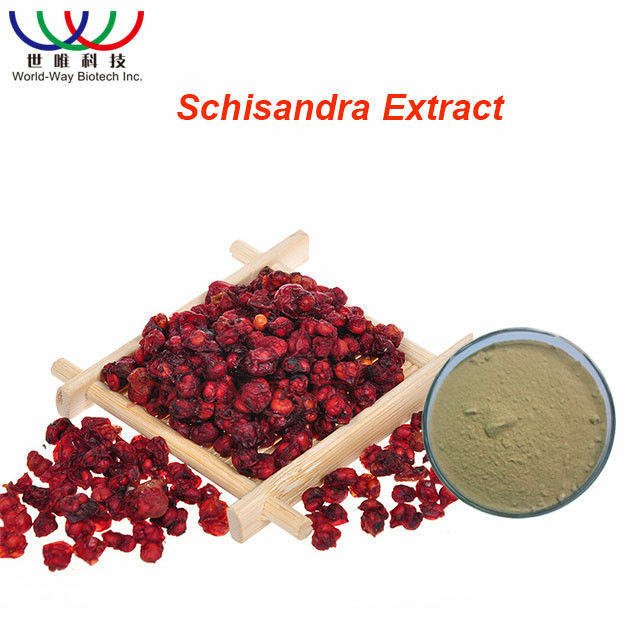 Schisandra extract from Wolrd-Way has a high purity of plant to meet your body needs. 3. Schisandra extract from Wolrd-Way almost has no unpleasant taste compare to others. 4. Schisandra extract from Wolrd-Way can provide different testing method according to yout quality controlling requirement. 5. 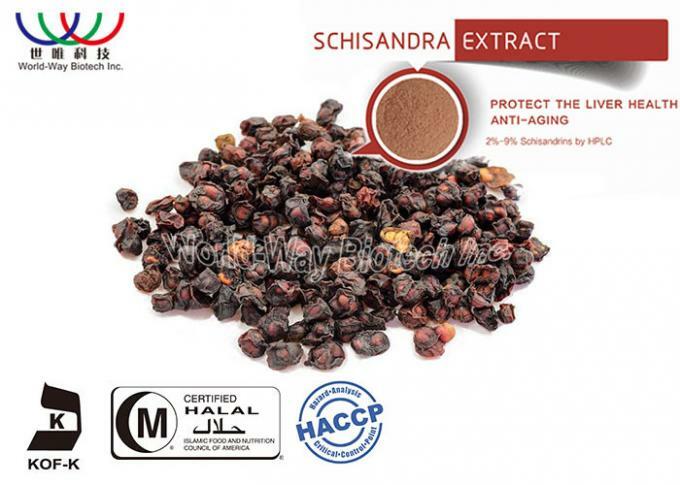 Schisandra extract from Wolrd-Way is with a very low price but a very high and professional quality. 6. 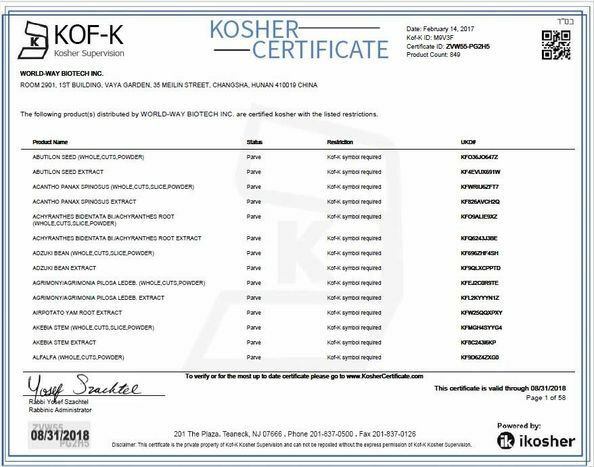 The most important -- World-Way provides you the most professional and continual service in quantity, quality and transportation. Botanical Source: Schisandra Chinensis Baill.